BetterBathrooms, the country's largest independent bathroom retailer, has called in administrators. 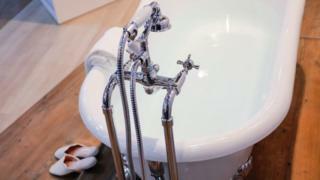 The bath, tiles and decorating chain has 13 showrooms and two trade counters across the UK, all of which have closed its doors and ceased trading. FRP Advisory was appointed as joint administrators on Friday. Joint administrator Phil Pierce said the company "suffered from severe cashflow difficulties and an extended period of soft trading". Administrators said 10 employees would be kept on temporarily to help wind-up the business, but 325 employees were made redundant. Mr Pierce said they would be working with affected staff to support their claims through the Redundancy Payments service. BetterBathrooms' customers were predicting its demise earlier on Twitter today after delays to their deliveries. Mr Pierce said:"We know that customers will also be particularly concerned, and they should email Betterbathrooms@frpadvisory.com with their details. We will be writing to all customers as soon as possible". The administrators urged any potential buyers of the bathroom goods chain or its assets "to come forward as soon as possible."